Riviera Nayarit is now ready for this year’s fishing season, which includes tuna, marlin, dorado and sailfish, among many other species that can be caught in the more than 180 miles of coast in our destination. Two of the most important fishing events in Mexico are now ready to begin: The 51° International Fishing Tournament in San Blas and the 5th International Tuna and Marlin Fishing Tournament of Riviera Nayarit. 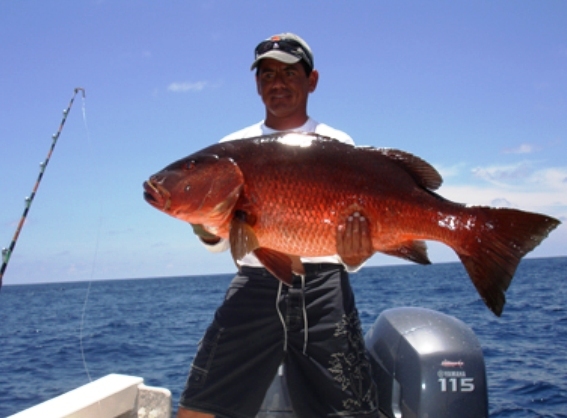 Mexico’s Pacific Treasure is one of the most enticing settings for sport fishing lovers. Wahoo, sailfish, dolphin-fish, tuna, three different species of marlin, sawfish and snapper guarantee a great fishing experience year-round. Last year, Tepic’s Sport Fishing Club made history during the celebration of the 50th International Fishing Tournament in San Blas, by offering millions of pesos in prizes, and this year they will raise the bar once again. Fonatur’s Nautical School at the historic Port of San Blas will host this traditional and renowned sport fishing event that will take place on June 1 through 5. This is a privileged destination because of the diversity of its natural environment that not only makes it one of the favorite destinations to fish, but has also earned recognition as the best place in Latin America to do bird watching. The first place winner of the sailfish category will win a Sentra Custom 2011 car, while the second and third places will also win cars, and the fourth place will win an off-board motor. There will be a Tiida car for the Marlin category and off-board motors for the second and third place. The dorado category offers a March Sense car for the first place, and fishing gear for the second and third place. The 5th International Tuna and Marlin Fishing Tournament of Riviera Nayarit is now ready to begin activities, and will host competitions on July 14, 15 and 16. WOW what a catch, and so close to CHAPALA!